I am super stoked about today's post as this brand is from my home country, Malaysia. Side note, does anyone even use the term 'super stoked' anymore or am I two years behind the latest slang as always? 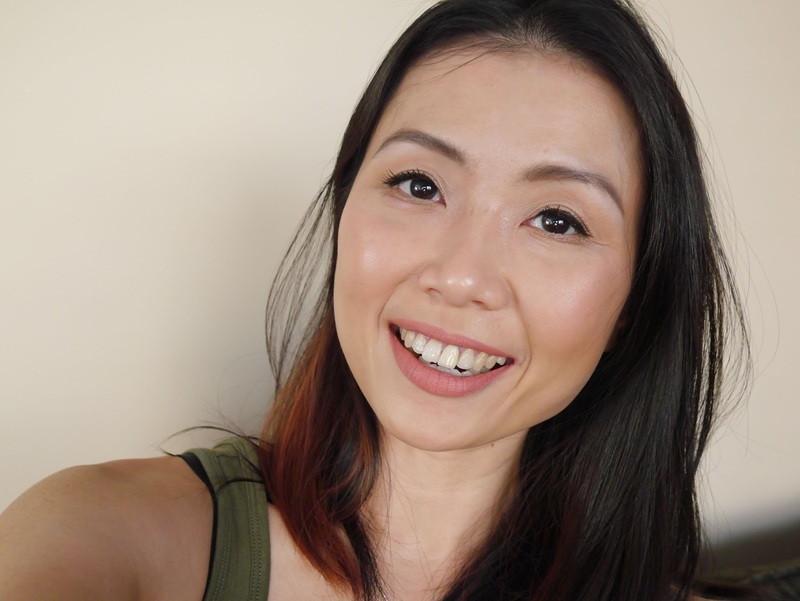 Mermaid Body is a skin, body care and future lifestyle brand based in the beautiful Langkawi Island, Malaysia and is the brain child of two best friends, Jules and Liz. I was kindly sent their Coconut Oil Body Scrub (USD$19.95)* to try and after testing it for a few weeks, these are my thoughts on it. The beauty market is currently flooded with coffee scrubs so it's so refreshing to see a body scrub that doesn't use coffee as it's main exfoliator. 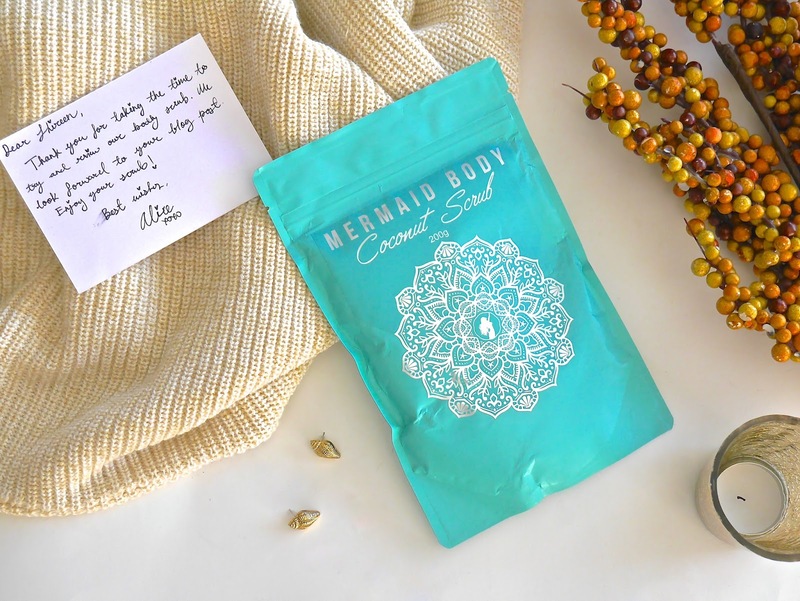 "Mermaid Body Coconut Oil Body Scrub* is made with a blend of four coconut ingredients that does an amazing job at buffing away dry, flaky skin. 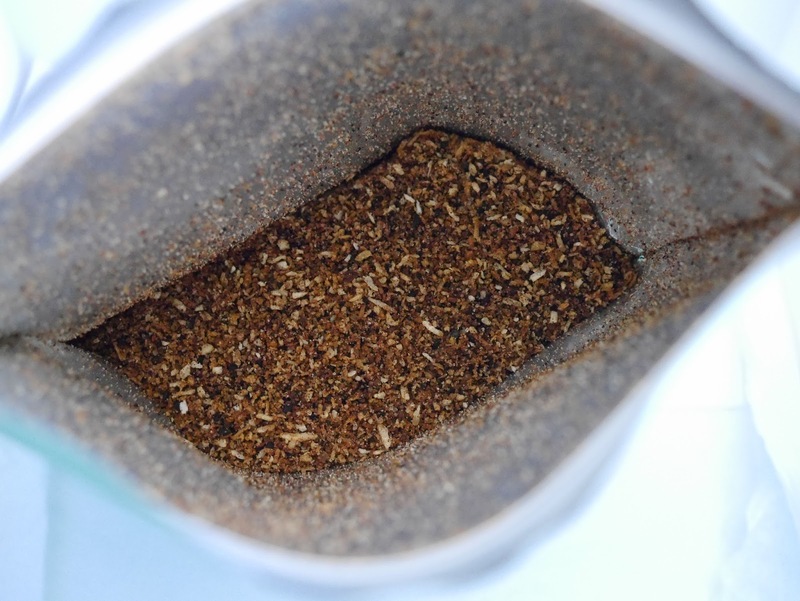 Ground Coconut Shell is the main exfoliating ingredient that scrubs away dead skin cells. The softer granules of Coconut Sugar is meant to polish and reveal baby soft skin while the skin receives further hydration from the Shredded Coconut Flesh which contains hydrating, nutrient rich coconut milk. 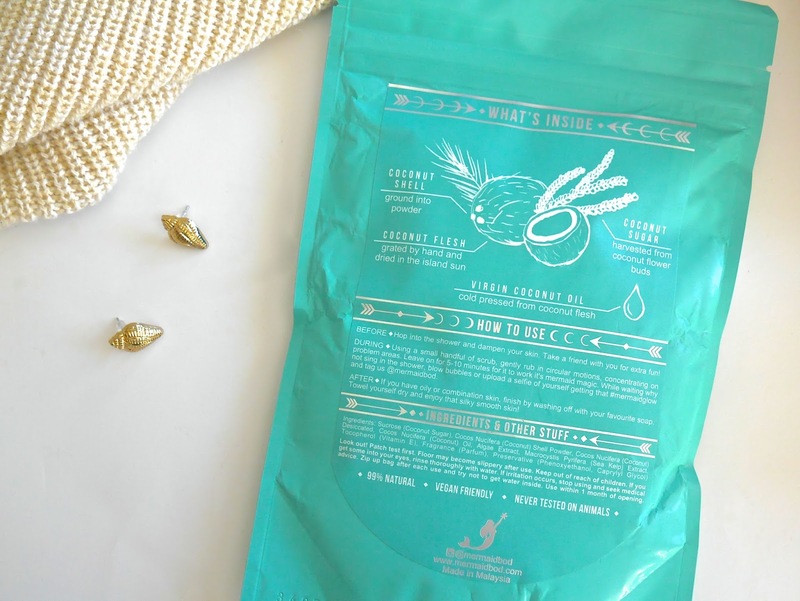 Leaving the scrub sit for 5 - 10 minutes will transform it into a moisturising body mask that is infused with artisan Virgin Coconut Oil which is self cold pressed by Mermaid Body, Sea Kelp and Algae to rejuvenate and nourish the skin from within." Let me start with a confession...even though I love my coffee scrubs, I can't for the life of me stand the mess that it makes. I hate having to clean the bathroom after an amazing shower because it makes me feel like I have to take another shower. So when I opened the package and saw the potential mess that this scrub would make, my heart sank a little. Surprise, surprise...this scrub is not half as messy as coffee scrubs and it washes away much easier too! It still gets on the wall and stuff but I find it to be much easier to clean. To use is easy, just take a couple of handfuls and scrub your skin with it and later let it sit for a few minutes before showering it off. This scrub has a pleasant coconut scent, it's not overpowering and the texture is a perfect medium. It's not too rough to the point you feel like you're shaving your skin off however I do not recommend using this for the face as it'll be too rough for it. I have been using this twice a week and it makes me wish Summer was here for another month or two because my skin has been baby soft and smooth. I love using body oil after using this scrub because my skin feels like it just went through a luxurious and expensive body spa experience. This will be a pretty bold statement but I actually prefer this Coconut Oil Body Scrub* to my usual coffee scrubs because I get the same amazing results with half the mess. The only thing that makes me frown a little is the fact that it's suggested to use within a month of opening the package. I used it twice a week and I still have a lot to go so I wish there was a longer time frame for usage. I honestly adore Mermaid Body Coconut Oil Body Scrub* despite having to use it within a month. I don't think it's a deal breaker as it gives me motivation to use the scrub more often which means healthy, glowing, soft and smooth skin! Ohh...did I mention that this scrub is cruelty free, vegan, 99% natural and Mermaid Body offers FREE worldwide shipping? More reasons to love them and no reason to not place an order! To get to know Mermaid Body, click here.